Hello and hope you are having a lovely time enjoying the sun! Isn’t it wonderful to be warm. 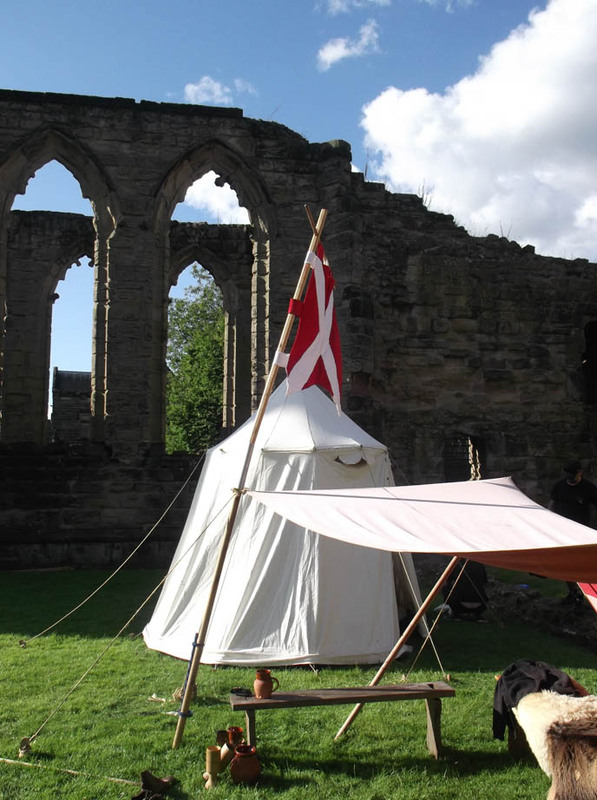 We have a little group on Facebook for posting pics of our medieval encampments in castle grounds called The Castle Camping Club and there are some fab pics there of people’s camps in the most beautiful settings. 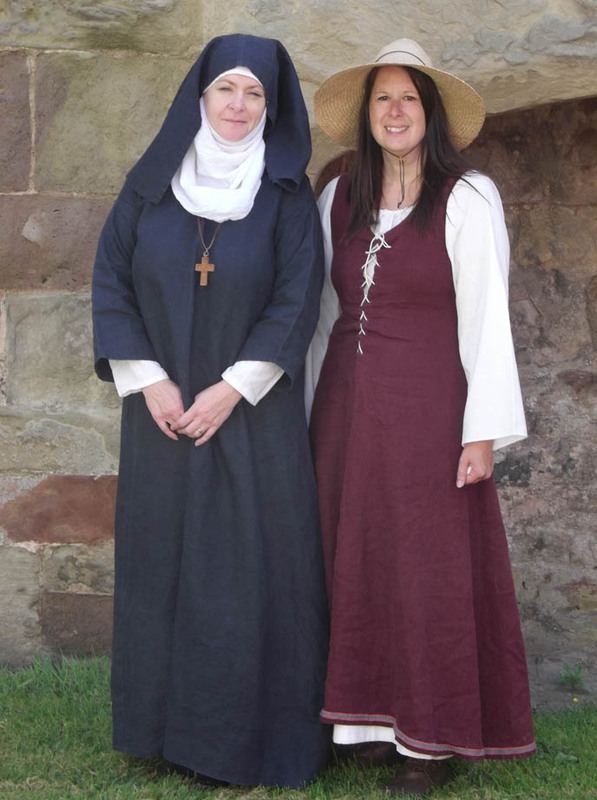 This weekend I was at Ashby de la Zouche Castle in Leicestershire with my group, Swords of Mercia, and we had a fantastic time.This is Kerry and I – as usual with our group I was being Sister Margaret and Kerry was playing a peasant rather than a lady. 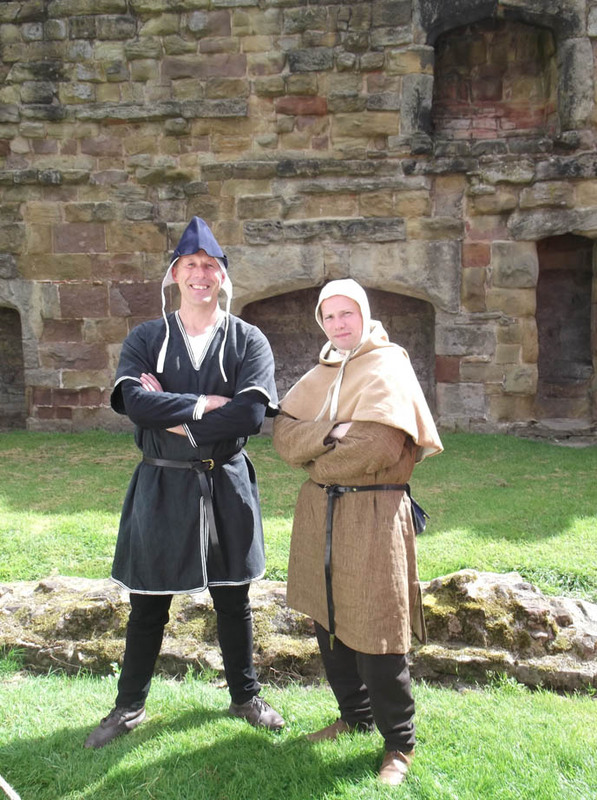 And here is Mark and one of our new members Trevor early on Saturday morning. 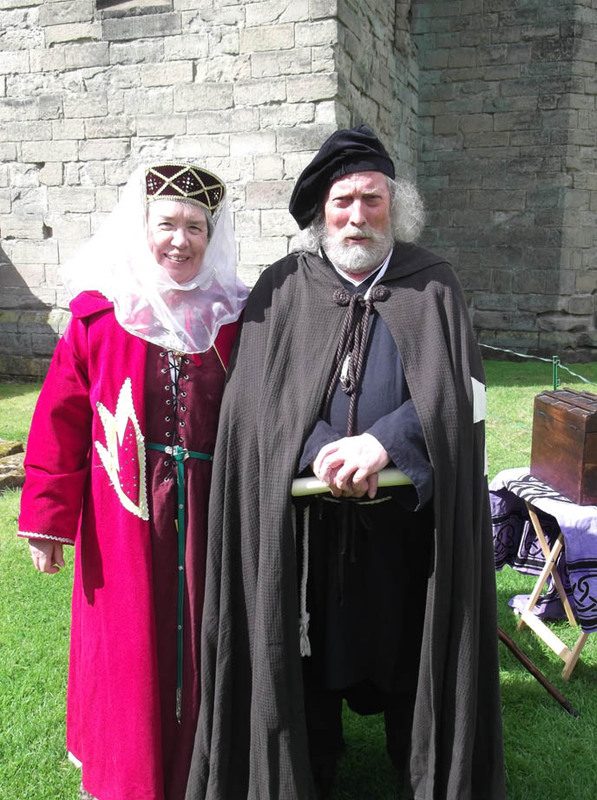 We were joined by some friends from other groups as well, this is Malcolm and Jean, Malcolm was our King (Edward Hammer of Scots) in our last group and this weekend he came with his box of religious relics. This was my view on the Saturday evening, a beautifully sunny end to the day, we had takeaway as is traditional at Ashby and sat around the campfire – bliss! 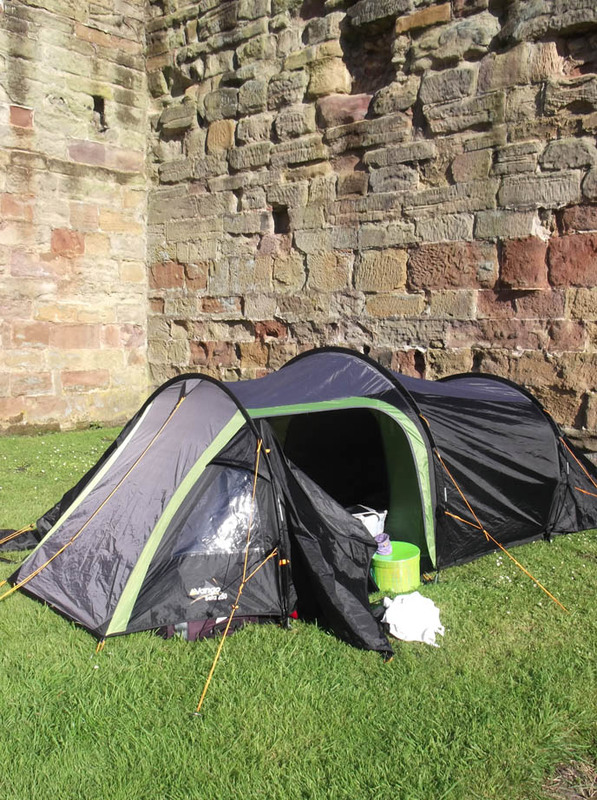 I couldn’t take my medieval tent this time so I took my lovely little ‘just for me’ tent , doesn’t it look pretty in the sunshine! The weather was really lovely (a little damp on Sunday but it dried up in time for us to pack up!) and we had lots of people come to see was lovely.It was the first show we have done just with the new group, the other events have all involved being at larger events where we are doing slots as part of a bigger show and it was brilliant to be doing a successful show with the new format. Thank you to everyone who came to see us, I hope you enjoyed it as much as we did.